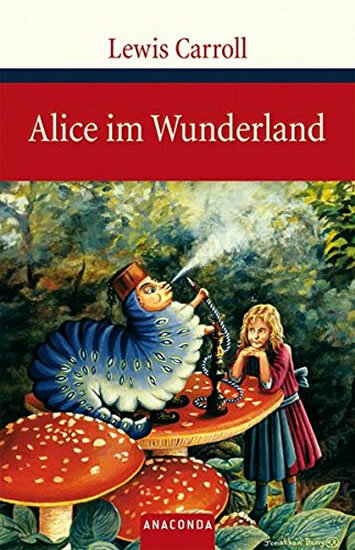 Slavné příběhy plné fantazie vymyslel anglický matematik Lewis Carroll – údajně právě pro malou holčičku Alici. Ilustrovaná knížka je určena pro začátečníky, ať děti, tak i dospělé. Jazyk jsme velmi zjednodušili. Český zrcadlový překlad vám umožní obratem zkontrolovat, zda jste původnímu textu porozuměli správně. Na konci knihy objevíte zábavné doplňovačky, spojovačky a kontrolní otázky. WINNER OF THE 2015 PULITZER PRIZE FOR FICTION NATIONAL BOOK AWARD FINALIST NEW YORK TIMES BESTSELLER WINNER OF THE CARNEGIE MEDAL FOR FICTION A beautiful, stunningly ambitious novel about a blind French girl and a German boy whose paths collide in occupied France as both try to survive the devastation of World War II When Marie Laure goes blind, aged six, her father builds her a model of their Paris neighborhood, so she can memorize it with her fingers and then navigate the real streets. But when the Germans occupy Paris, father and daughter flee to Saint-Malo on the Brittany coast, where Marie-Laure's agoraphobic great uncle lives in a tall, narrow house by the sea wall. 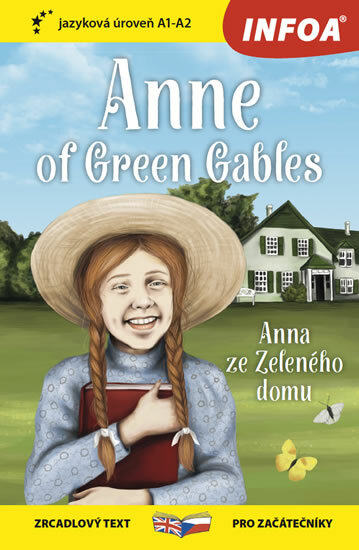 In another world in Germany, an orphan boy, Werner, is enchanted by a crude radio. He becomes a master at building and fixing radios, a talent ultimately makes him a highly specialized tracker of the Resistance. Werner travels through the heart of Hitler Youth to the far-flung outskirts of Russia, and finally into Saint-Malo, where his path converges with Marie-Laure. Deftly interweaving the lives of Marie-Laure and Werner, Doerr illuminates the ways, against all odds, people try to be good to one another. Ten years in the writing, ALL THE LIGHT WE CANNOT SEE is his most ambitious and dazzling work. The highly acclaimed, epic novel from international bestseller Neil Gaiman. Now a major TV series. American Gods, the extraordinary, highly acclaimed epic novel from storytelling genius and international bestseller Neil Gaiman, comes vividly to life in a major new TV series on Amazon Prime Video starring Ricky Whittle, Ian McShane, Emily Browning and Gillian Anderson. 'Gaiman is a treasure-house of story and we are lucky to have him' Stephen King. If you are to survive, you must believe. Shadow Moon has served his time. But hours before his release from prison, his beloved wife is killed in a freak accident. Dazed, he boards a plane home where he meets the enigmatic Mr Wednesday, who professes both to know Shadow and to be king of America. Together they embark on a profoundly strange road trip across the USA, encountering a kaleidoscopic cast of characters along the way. Yet all around them a storm threatens to break. The war has already begun, an epic struggle for the very soul of America, and Shadow is standing squarely in its path. 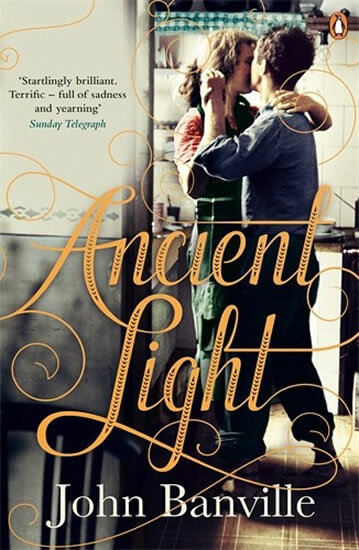 John Banville's Ancient Light is a story of obsessive young love and the power of grief. 'Billy Gray was my best friend and I fell in love with his mother.' In a small town in 1950s Ireland a fifteen-year-old boy has illicit meetings with a thirty-five-year-old woman - in the back of her car on sunny mornings, and in a rundown cottage in the country on rain-soaked afternoons. Unsure why she has chosen him, he becomes obsessed and tormented by this first love. Half a century later, actor Alexander Cleave - grieving for the recent loss of his daughter - recalls these trysts, trying to make sense of the boy he was and of the needs and frailties of the human heart. Prostřednictvím dvojjazyčného vydání pěti vybraných příběhů si čtenáři mohou vyzkoušet, jak si poradí se souvislým německým textem. Úroveň jazyka v publikaci je vhodná pro začínající studenty němčiny. Český zrcadlový překlad umožní zájemci obratem zkontrolovat, zda cizojazyčnému textu správně porozuměl. Za každou pohádkou následuje dvojstránka s otázkami, úkoly a hádankami.